If you’re familiar with the Final Fantasy game series, created by Square-Enix, you’ll surely know that they have a thing for crystals. Usually, the villains try to get the power of some huge crystal or use it to destroy the world. This time we’re dealing with “tamed” crystals that won’t end the world, but they’ll end (and start) your phone call. Tao Ma is the designer of this beautiful concept and you should be familiar with the name, as he also created the neat Bracelet phone. 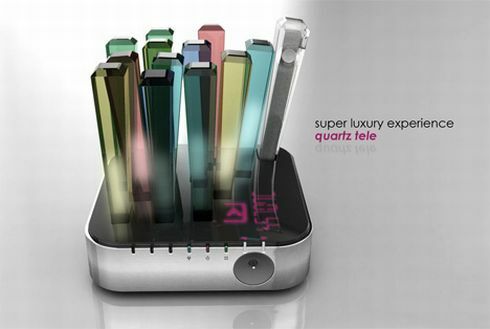 The Quartz Tele device uses its big quartz crystals for input, each of them bearing a number thanks to a dial pad. There’s an LED below each crystal, so it’ll illuminate like a Christmas tree in no time. 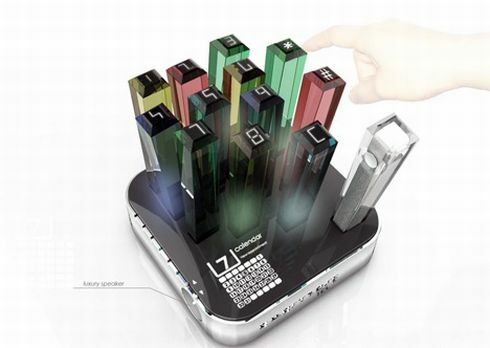 The base of the device is also a pretty big LED display that shows you the date, your contacts and incoming calls.